This long awaited video was taped at the National Shooting Complex in San Antonio, Texas, on the grounds of the 1999 World Sporting Clays Championship. George explains his style of shooting, from stance to how he obtains lead. George Digweed is without a doubt the most accomplished shotgunner in the world today. He has won every major title Sporting Clays Shooting has to offer. In addition to numerous English and British Open wins he has four times been European FITASC Sporting Champion and he has won the World title an unprecedented four times. At the 1999 World Sporting Clays Championship he shot the first 100 straight in a World Championship. His over-all score of 194x200 also set a new world record. 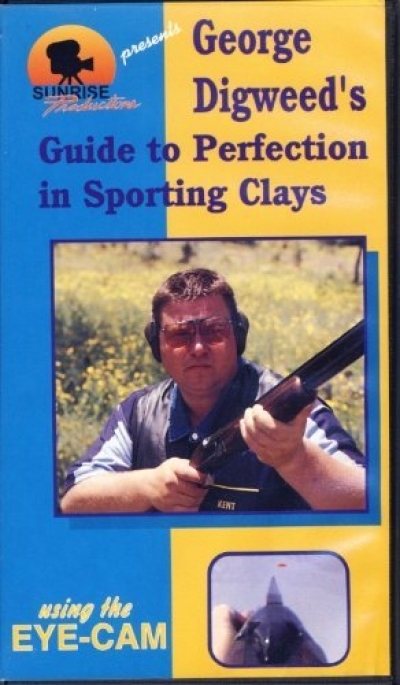 This long awaited video was taped at the National Shooting Complex in San Antonio, Texas, on the grounds of the 1999 World Sporting Clays Championship. George explains his style of shooting, from stance to how he obtains lead. George shoots eleven different stations and explains each one in detail. Each target is shot using Sunrise Productions EYE-CAM, which allows you to see what George is seeing as the shot is taken.